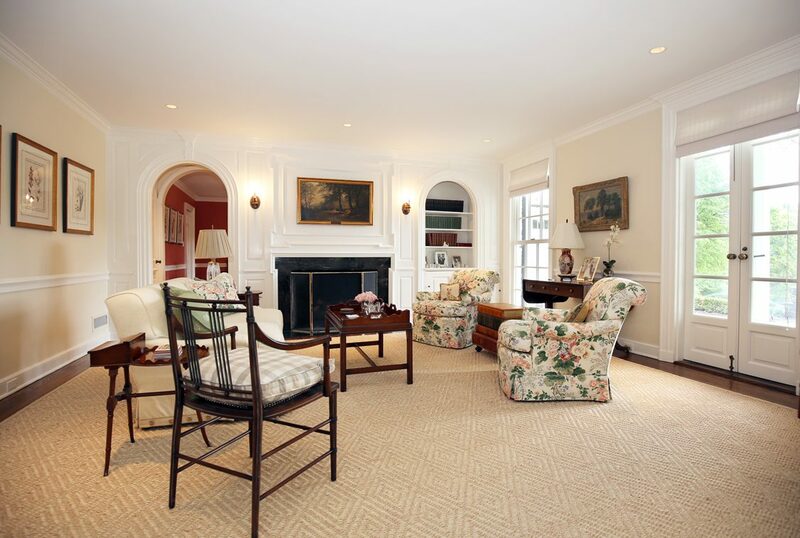 Once in a lifetime opportunity to own Short Hills’ most coveted home in its best location! 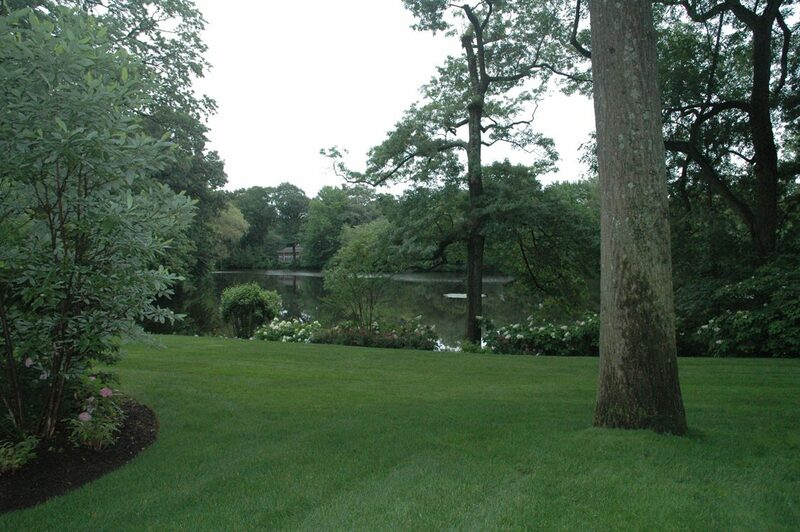 Elegantly situated on esteemed North Pond in Old Short Hills, a home of this caliber rarely comes on the market. 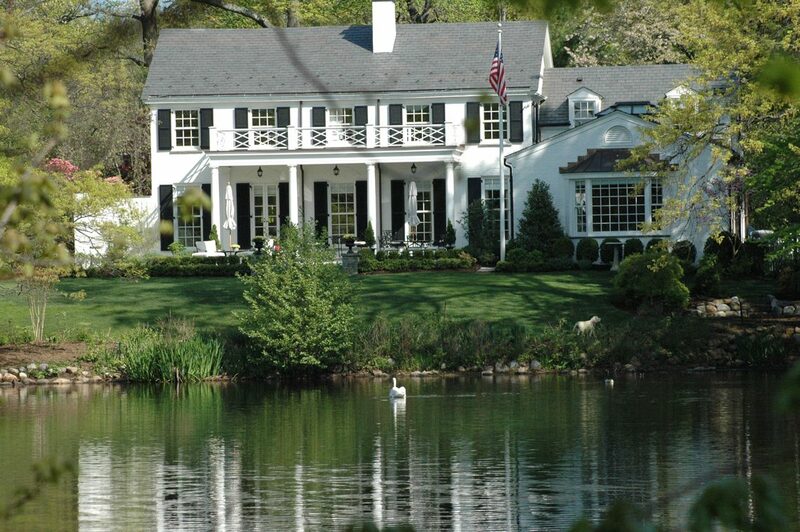 Boasting spectacular pond vistas. 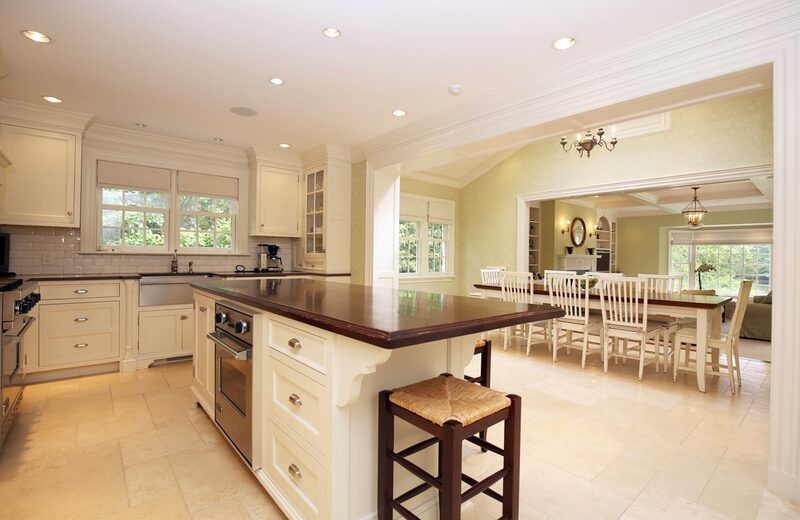 Renovated to perfection from top to bottom with amazing floor plan and perfect flow for entertaining. Enormous Gourmet Chef’s Kitchen, Breakfast Room, spacious Family Room with fireplace, elegant Living Room with built-ins and fireplace and stunning Library. 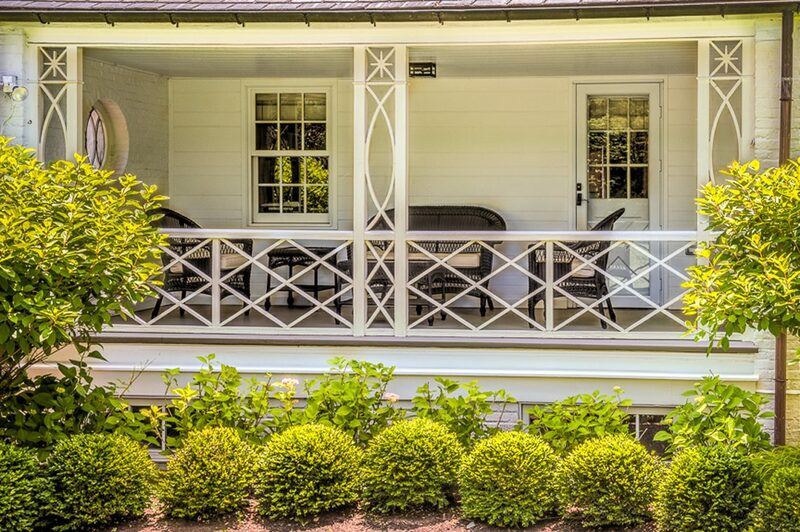 Fabulous waterfront outdoor entertaining area, park-like grounds with bluestone walkways and patios. Luxurious Master Bedroom Suite with serene views, 5 additional bedrooms, 3 of which are en suite. 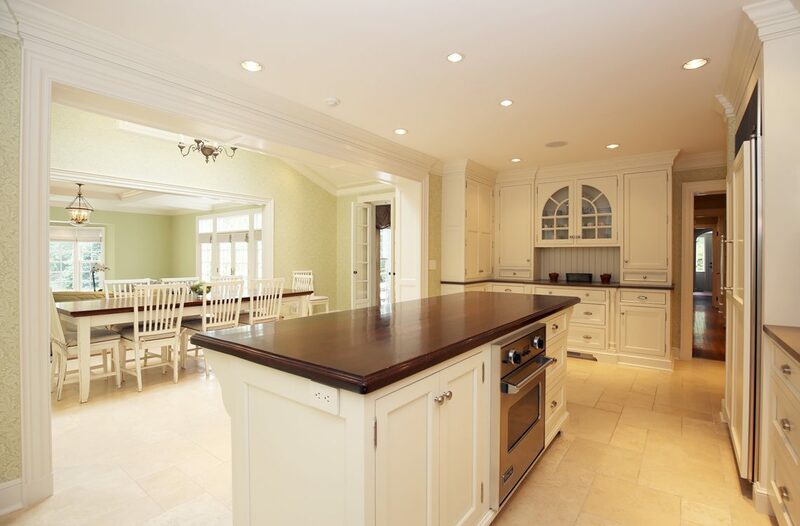 Fully finished Lower Level with Recreation Room, Wine Cellar, Exercise Room and Wet Bar. Tons of storage and closet space. 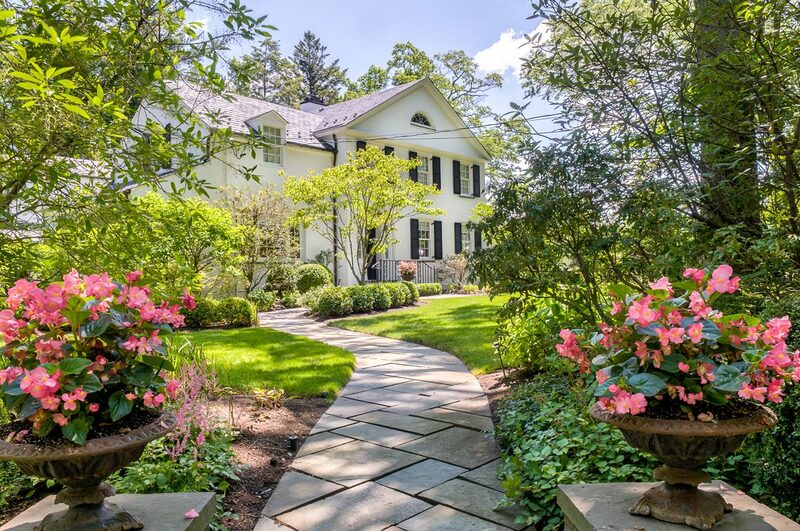 Truly incredible buying opportunity for the discerning homeowner seeking to own one of Short Hills’ most exquisite homes. 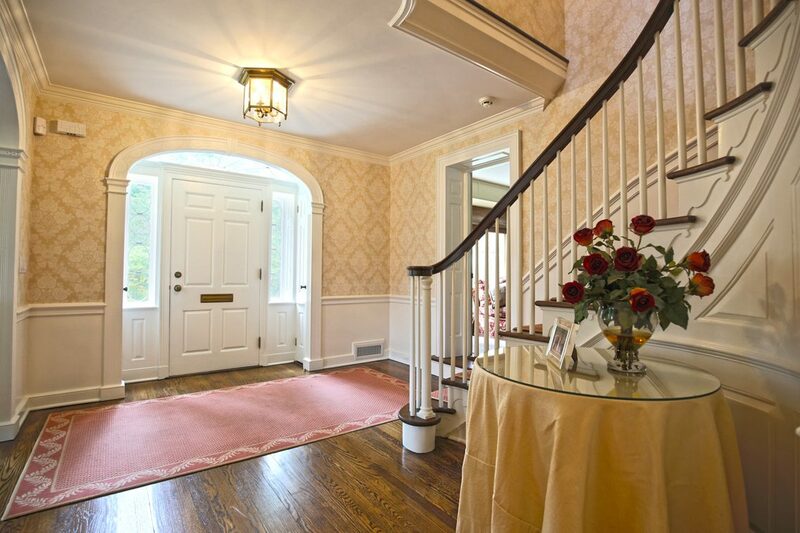 Gracious Entrance Hall: lighting fixture, hardwood floor, 2 coat closets. Living Room: gas fireplace and two sconces above traditional wood mantel, recessed lighting, arched bookcase, pair of French doors open to new expansive bluestone patio overlooking the incredible property and pond. 4 windows with custom shades provide great natural light. 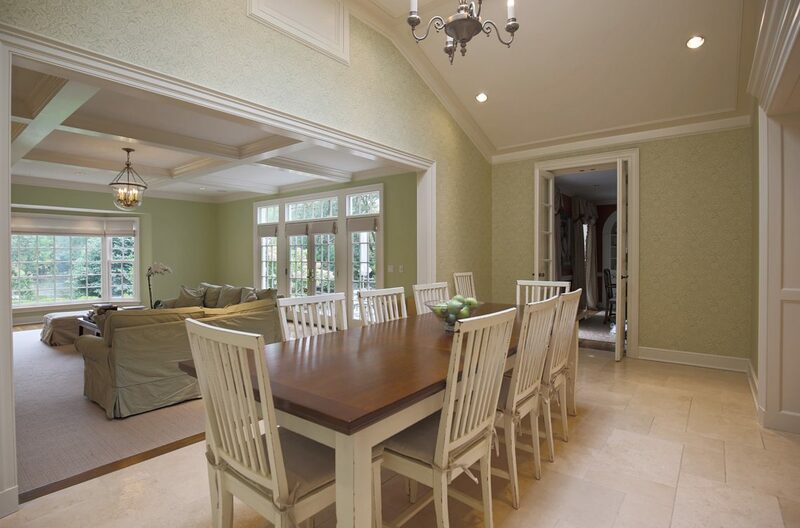 Dining Room: perfect for entertaining with crystal chandelier, built-in cabinet, 2 storage closets, speakers, recessed lighting, floor to ceiling windows overlooking the pond. 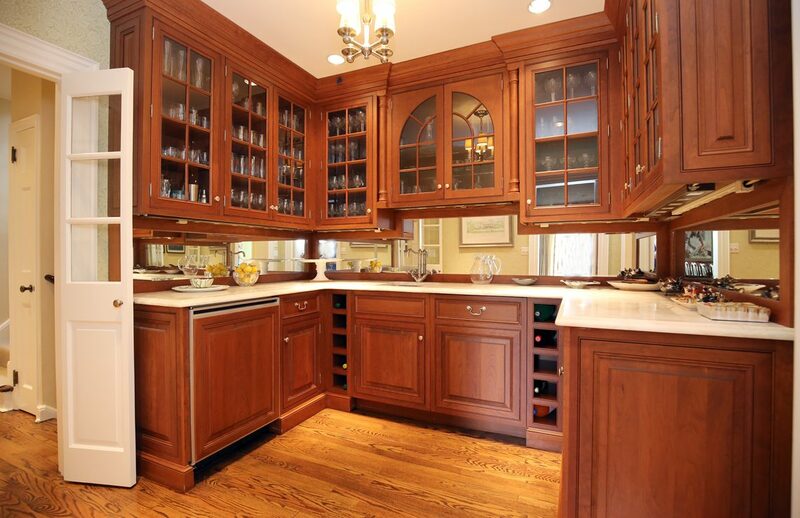 Butler’s Pantry: custom cabinetry with many glass doors for display, Subzero refrigerator/freezer, marble countertops, recessed lighting, chandelier. Powder Room: medicine chest above pedestal sink, Toto commode, window, chandelier, built-in cabinet, double closet. Gourmet Kitchen: custom cabinetry with glass doors for display, Caesar stone countertops, walnut counter top on huge center island, top of the line appliances, 2 Miele dishwashers, Subzero refrigerator/freezer, Viking Professional 6 burner range with overhead exhaust, Additional Viking Professional oven, stainless steel sink, speakers for sound system, Imported Italian travertine floor, recessed lighting, 2 windows. Huge Eating Area: Can entertain a crowd! With 11’ vaulted tray ceiling with English Conservatory rooftop, recessed lighting, speakers for sound system, solid nickel chandelier, 3 windows with custom shades. 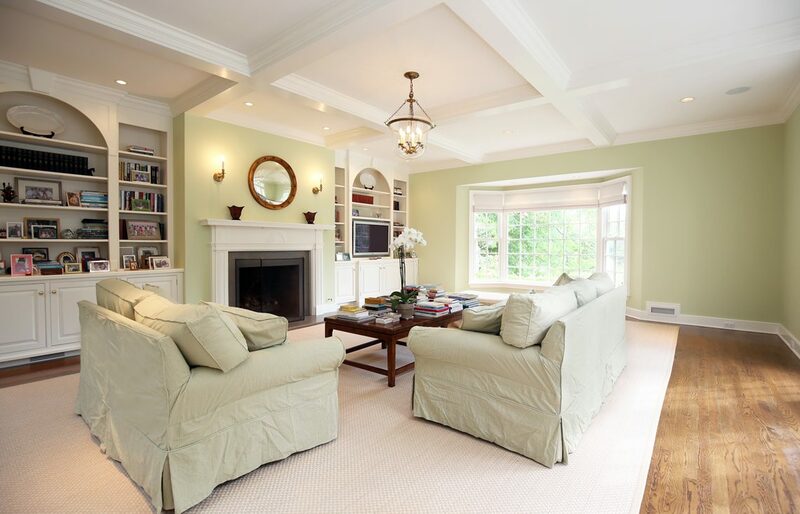 Family Room: 9’ coffered ceiling with lighting fixture, gas fireplace, flanked by large arched bookcases with storage beneath, hardwood floors, French doors open to expansive bluestone patio overlooking the pond. Laundry/Mud Room: 2 closets, washer, dryer, sink, built-in ironing board, wainscoting, heads to garage and driveway. Nanny/Guest Room: closet, shutters, and full bath with shower over tub. Master Bedroom: carpet over hardwood floor, 5 windows with custom shutters – 3 with views of the pond, 2 swing arm lamps over bed, ceiling fixture, walk-in closet, additional closet, speakers for sound system. Spa-like Master Bath: with radiant heated marble floors, 2 sconces flank mirror over two sinks set in custom vanities, steam mist shower with Rainforest shower head, Toto commode, recessed lighting, Zenith TV, speakers for sound system. Bedroom 2: rug over hardwood floor, closet, 3 windows with custom shutters, lighting fixture, built-in shelves. Bedroom 3: rug over hardwood floor, walk-in closet, 2 built-in custom bookcases, 3 lighting fixtures. En Suite Full Bath: imported ceramic tile, shower over tub, Porcher pedestal sink, all nickel hardware, Kohler tub, Kohler commode, closet, built-in cabinet. Bedroom 4: huge walk-in closet, 3 windows with shades. Hall Bath: Ann Sacks basket weave pattern floor, shower over tub, nickel hardware, custom vanity, custom built-in medicine cabinet. Bedroom 5: huge walk-in closet, 4 windows with shades, wall to wall carpet. En Suite Bathroom: marble floor, custom vanity, shower over tub. 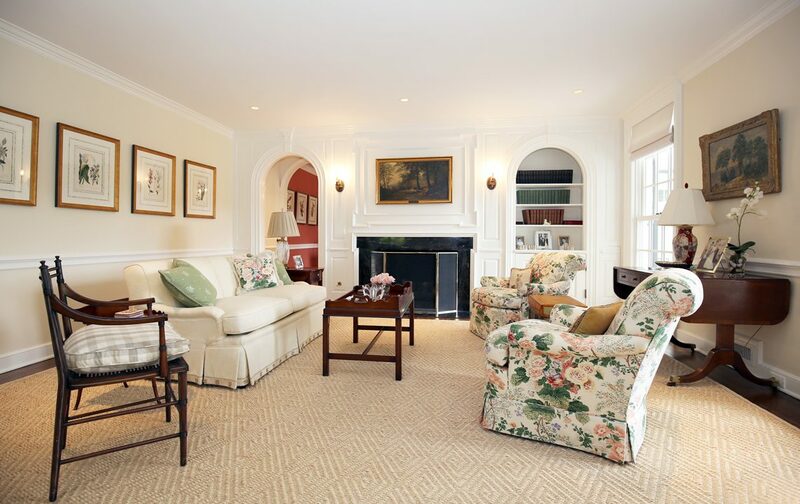 Recreation Room: gas fireplace, 3 windows, wet bar and Nantucket board, 4 sconces, built-in benches, Restored Billiard’s fixture, closet for storing games, speakers for sound system. Playroom/Media Room: built-in bookcases and storage, wired for surround sound, built-in desk, Cork board, 2 closets. 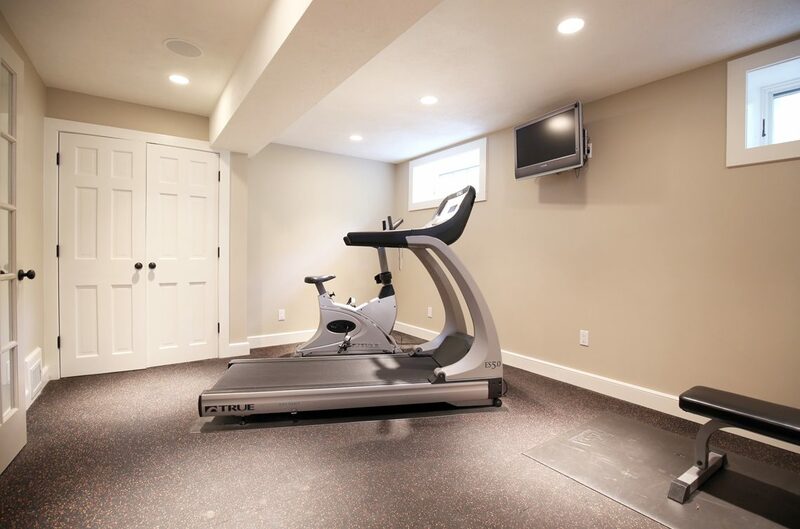 French doors open to Exercise Room: custom rubber floor, Marvin windows, speakers for sound system. Powder Room: custom vanity, mirror, light fixture. Custom built temperature controlled Wine Closet. 92 Lake Road has had a whole house renovation (2006-2007). 1936 Prewar brick Georgian Colonial has been expanded and brought into the new century with every amenity for gracious living, while retaining all the charm and craftsmanship of a bygone era. 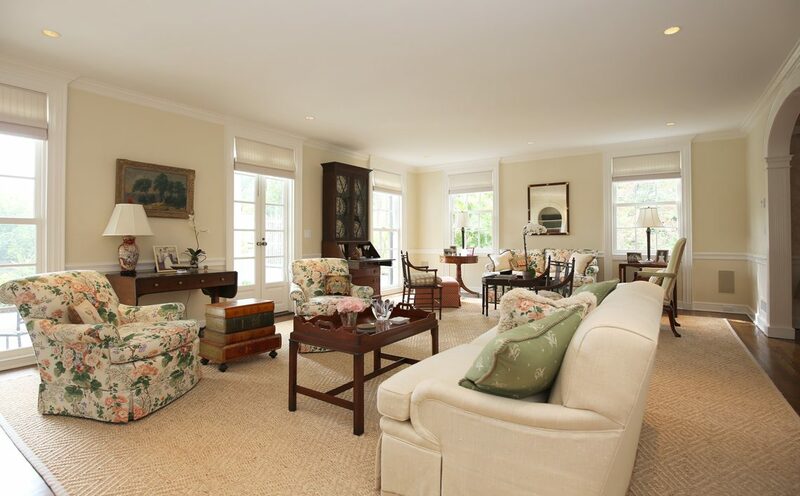 Beautifully finished Recreation Room, Exercise Room, Wine Cellar in basement.